The holiest of all the holy days is upon us, the day of the birth of Fred Rogers, the most genuinely nice, saintly man to ever exist. Last year, I was the vehicle for a sacred text to come to the world, explaining how to better Rogers ourselves. Shockingly, it did not gain seven billion views, and I assume that is why the world only improved just a little. Everyone with a printer — hurry, print it out on paper and then stick it in some pottery in a cave so that it can be discovered again in a thousand years. Maybe the world will be ready to hear it then! In the meantime, all of us original disciples can busy ourselves with coloring what is actually an authorized plan for a stained glass window for our humble Sneer Chapel, eventually located in the backyard to probably house our hens. 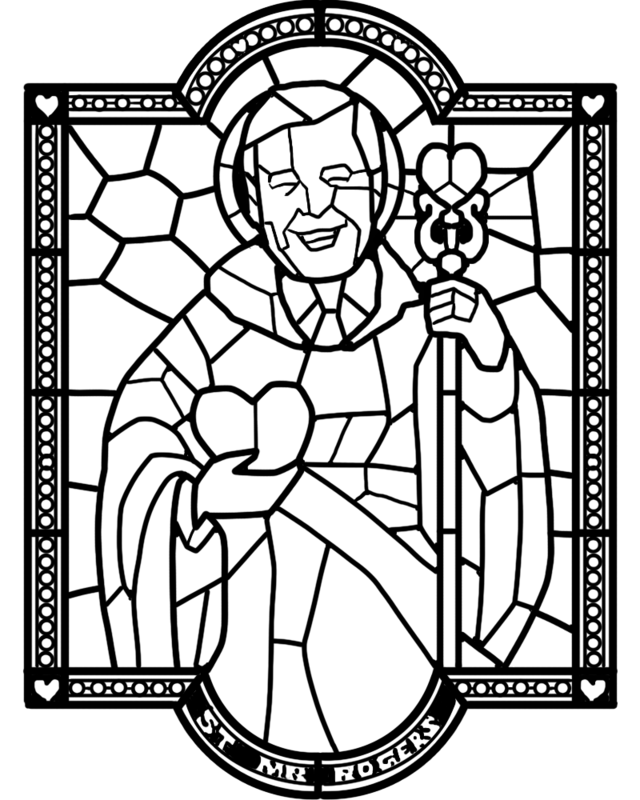 I will surely be making more of these coloring pages of the other saints, too. Collect them all! 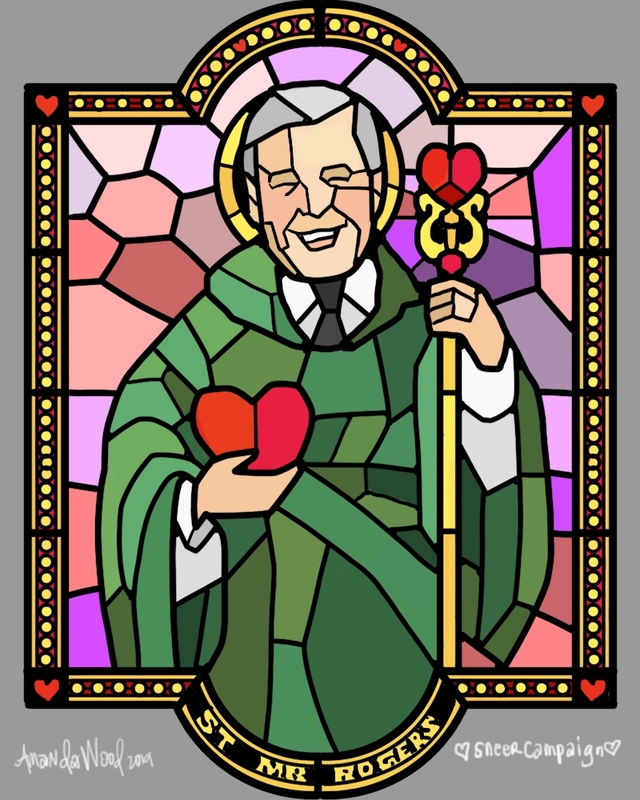 I have never done stained glass before. I am not a trained craftsperson and have not apprenticed under a skilled stained glassicist. So, when I go to the Vatican to learn from the best, probably the tiny bits of colored glass will shatter in my hands, and I will have to update this blueprint one hundred times — but I will be patient, and I will be content with knowing that I have been doing my best the whole time. It is as Mr Rogers would have wanted. Save the picture I colored by myself, above, or click this link here to print out a nice 8×10 picture, OR right click and save the png that’s transparent and color it in a coloring program! Did I make this too hard? Don’t be afraid to ask for help. Do with it what you will, but let us see what you do! Sharing is caring. We love you all.